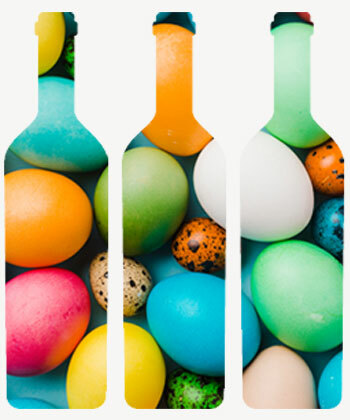 Easter is all about good food and good company – so, great wines are also essential! We’ve put together the perfect selection to see you through. We’ve got something for every occasion. The whites include the crystalline, pure Riesling from the very talented Stefan Braunewell. An exciting new arrival with the fresh, textured Soave from the highest peaks west of Venice, a pure delight and something bolder to go with cooler evenings and heartier plates - the floral, more weighty Acustic Blanc from the force of nature that is Albert Jané. The traditional Lamb gives the chance for broad adventure with the reds and we’ve singled out some of our favourites that will work well with this and many other dishes. From the slopes of Mount Etna the herb-infused Mofete Rosso will be the perfect pairing for Lamb or Pork – soft, red berries spicy and lifted this is a delight. Another ‘new boy’ on our list is the sensational Roberto Oliván. Here we include his joyful Tentenublo Tinto. A sleek, polished and richly balanced Rioja that will give nothing but pleasure. MIXED CASE - Save £30! To take the stress out of choosing and encourage you to try these fantastic new producers, we have created a mixed case including 2 bottles of each white and red plus our best-selling Franciacorta and a bottle of Mas Amiel Maury to accompany dessert (or all that chocolate!) at £10 off our usual case price discount.